Poly(isonicotinic acid) (PINA) film was electrosynthesized on carbon paste electrode (CPE) by using the repeated potential cycling technique in aqueous solution containing isonicotinic acid (INA), sulfuric acid and sodium dodecyl sulfate (SDS). Then, nickel and cobalt ions were incorporated by immersion of CPE/PINA prepared in the presence of SDS (CPE/PINA(SDS)) in a solution with different proportions of nickel chloride and cobalt chloride. 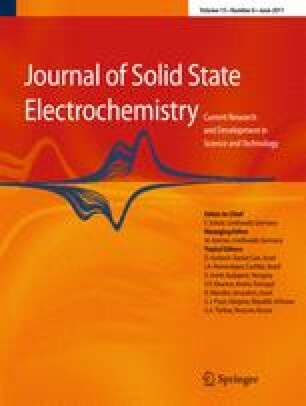 The electrochemical characterization of mixed hydroxides containing cobalt and nickel at the surface of the modified electrode is presented. The modified electrodes were successfully used in the electrocatalytic oxidation of glucose. Finally, the electrocatalytic oxidation peak currents of glucose exhibited a good linear dependence on concentration, and its quantification can be done easily. The good analytical performance, low cost and straightforward preparation method make this novel electrode material promising for the development of an effective glucose sensor.